With Q4 now well underway, it is interesting to look at the borrowing trends in the UK as companies start to wind things down for Christmas and consumers start to spend on celebrating the festivities. Remarkably, data shows that the demand for mortgages and deals completed actually increases as we approach Christmas. The Council of Mortgage Lenders reported an increase in mortgage lending to non-business households in December 2016, up 5% from November and with first-time buyers up 9%. This is likely to be due to new homeowners looking to secure their home in time for Christmas, using 25 December as a neat deadline. Similarly, lenders see the period as a way of closing deals and hitting targets before the winter break. Despite the average household spending around £800 on Christmas celebrations, according to The Telegraph, the number of applications for credit cards remains quite stable year-on-year. However, The Bank of England reported that average defaults rates for credit cards surge to 20% compared to an average of 4%. For the short-term loans industry, there is a huge demand for people looking to tide themselves over during Q4. Not only is overspending common in the run-up to Christmas, but several employees find a shortfall of cash due to receiving an early pay check in December and a six to seven-week gap before their next payday in January. Based on numbers we have in the guarantor industry, last December saw loan enquiries increase 54% in December compared to November, with the average loan size increasing from £3,000 to £4,600. 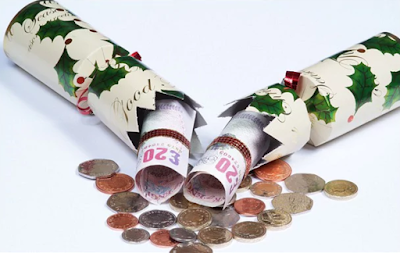 However, lenders may decide to act with caution as potential borrowers that have overspent during Christmas pose a potentially higher risk to lenders. Daniel Tannenbaum is the founder of Guarantor Loans, a comparison website for guarantor products in the UK.